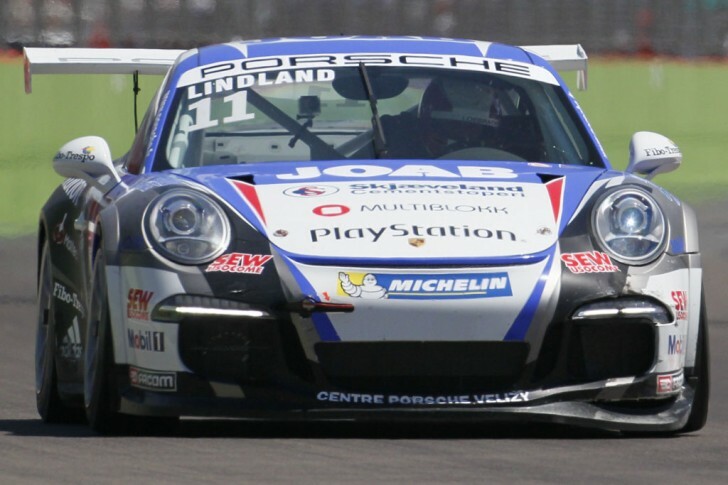 Following its debut at Barcelona, and alongside its Porsche Carrera Cup France participation, Sébastien Loeb Racing continued to learn the ins and outs of the Porsche Mobil 1 Supercup. At Monaco, Maxime Jousse and Roar Lindland were on track and although the young Frenchman, rookie in this series, finished 12th, the Norwegian was forced to retire after a few laps following mechanical failure due to contact. The Alsacian team took advantage of the action in the principality to gain experience that will no doubt be useful in the future. Quickly on the pace for his debut in the Porsche Mobil 1 Supercup and on the famous Monaco circuit, Maxime Jousse signed the seventh time in free practice. Caught out by two red flags in qualifying, the young Frenchman started the race from the sixth row, only three tenths from sixth place. After losing one position in avoiding an incident, Maxime returned to form a few laps later. Despite attacking well, he was unable to take the advantage over his competitor and crossed the finish line in 12th place. With the 17th fastest time in free practice, Roar Lindland was also held up by the two red flags during qualifying. Following a good start, he gained two positions. Unfortunately, due to contact with another car, he fell victime to a mechanical issue that forced him to retire. Sébastien Loeb Racing will now focus on another very busy weekend. While part of the team will be at Lédenon for the Porsche Carrera Cup France and French GT Championship, the other will be at the 24 Hours of Le Mans Test Day !